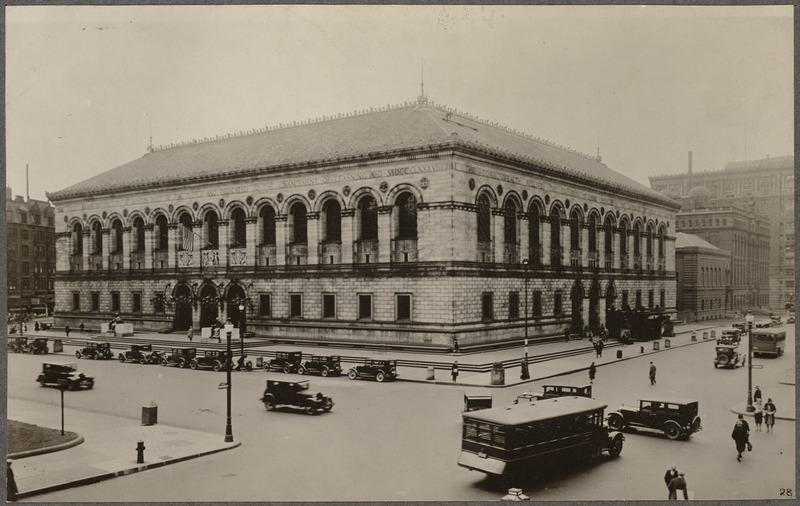 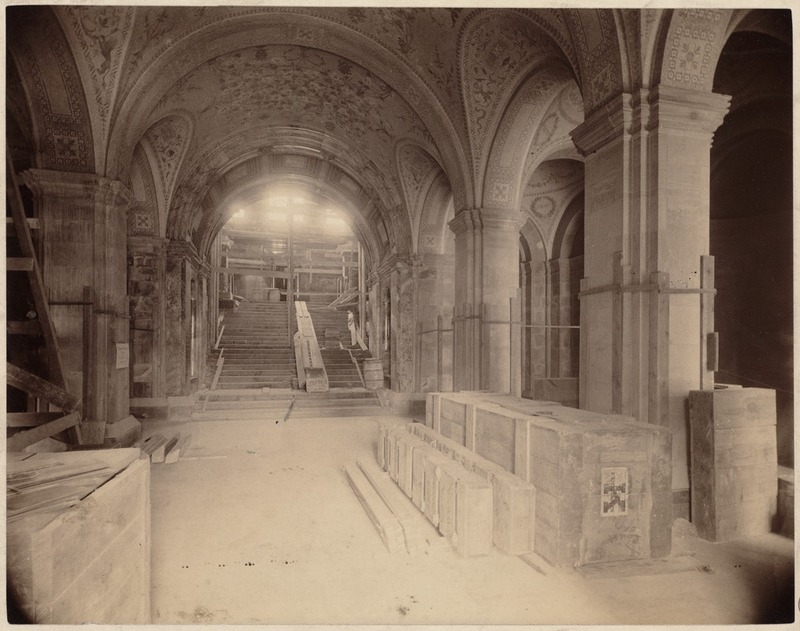 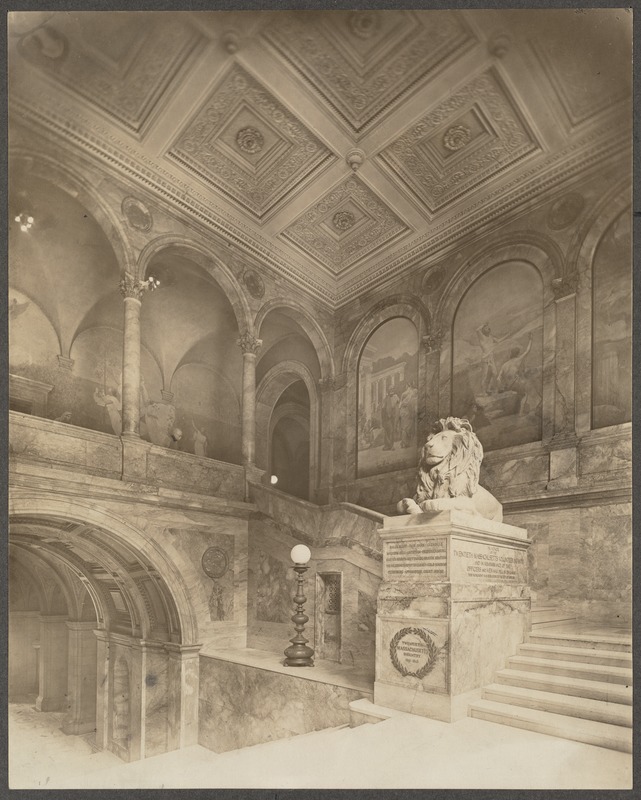 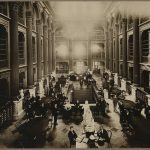 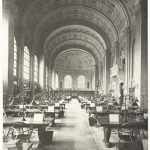 March 20, 2019 marks the 165th anniversary of the opening of the Boston Public Library in its first building! 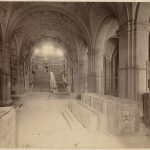 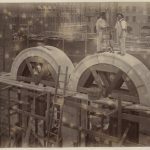 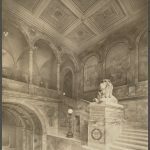 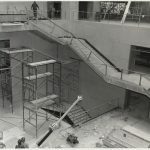 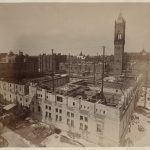 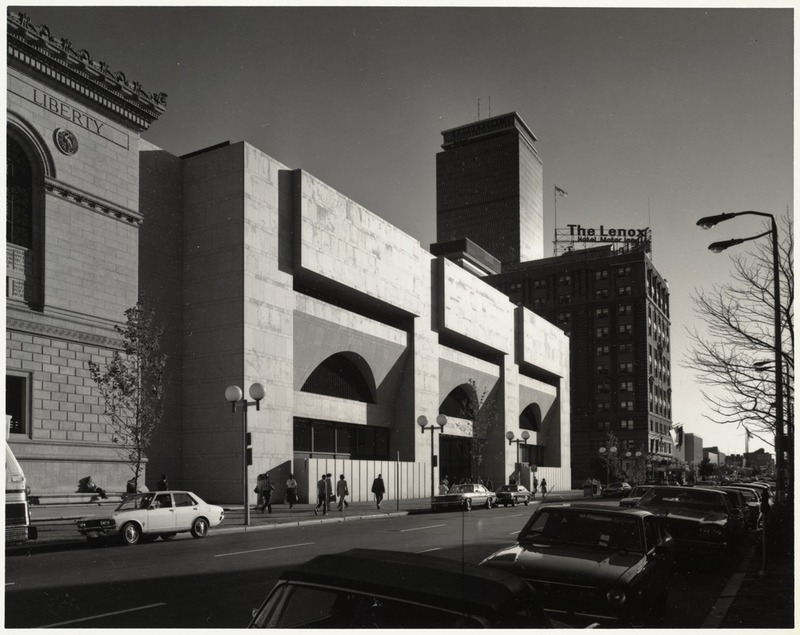 To celebrate, take a look at these digitized images of the BPL's Central Library through the years (and buildings). 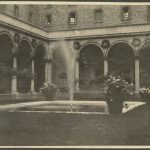 These photos and images are available through the Digital Commonwealth, which is made possible through digitization services from the Boston Public Library. 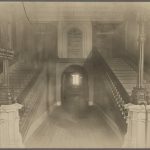 Click on any of the images to view them in a larger gallery. 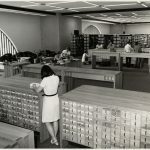 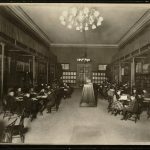 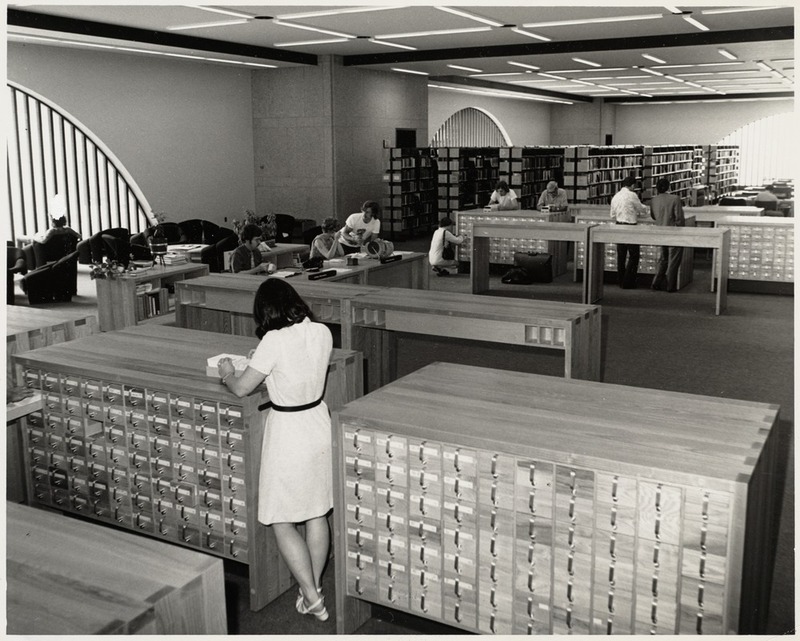 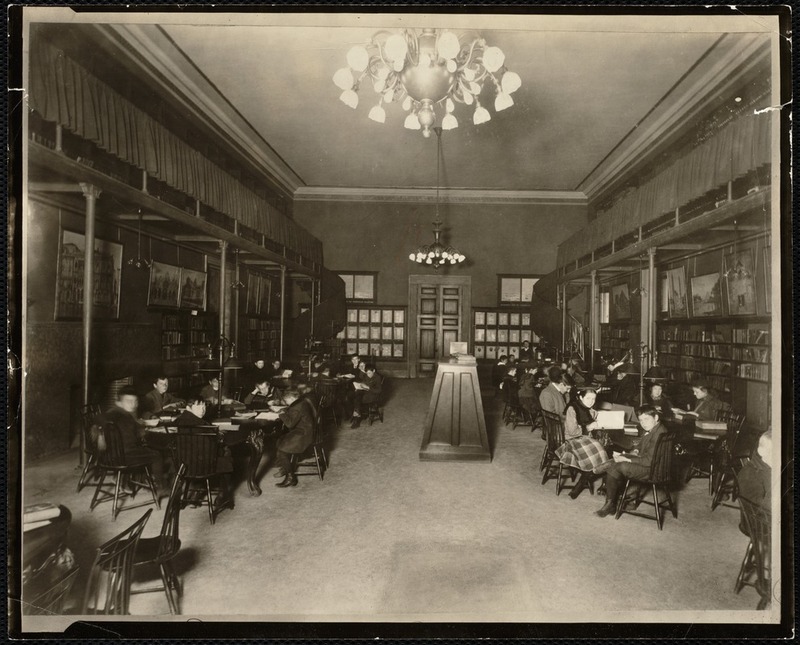 To learn more about the history of the Library, check out our history of the library page. 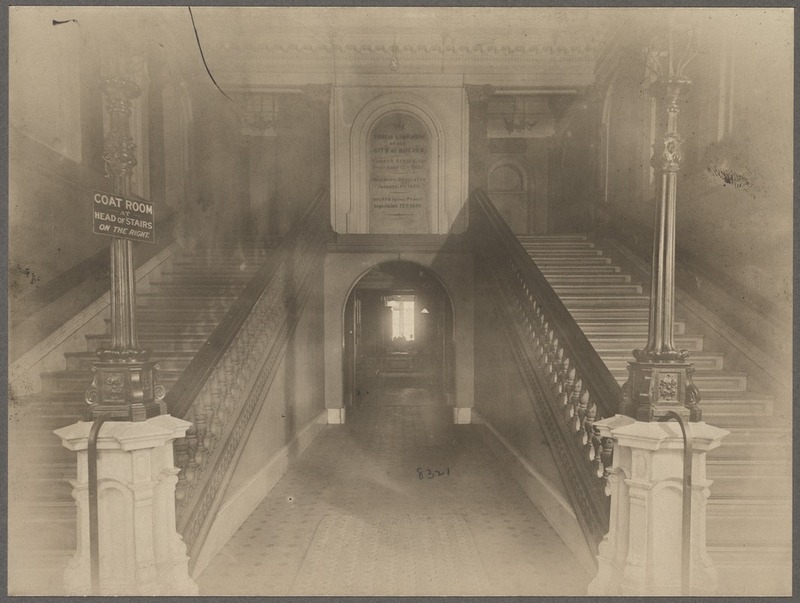 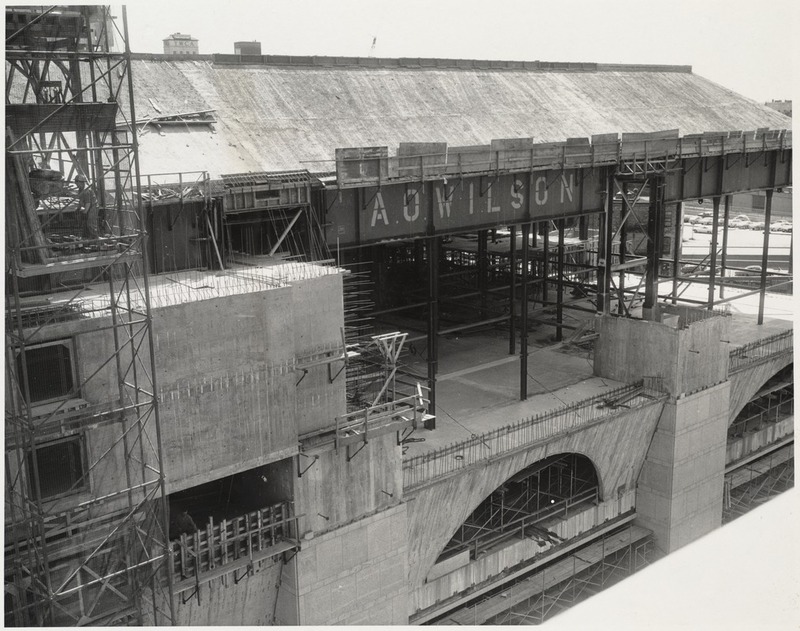 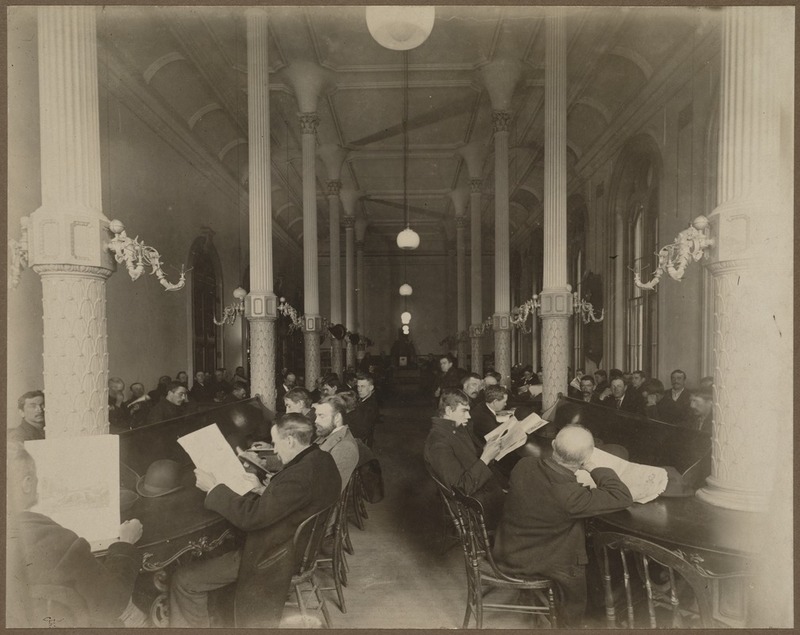 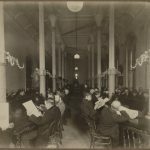 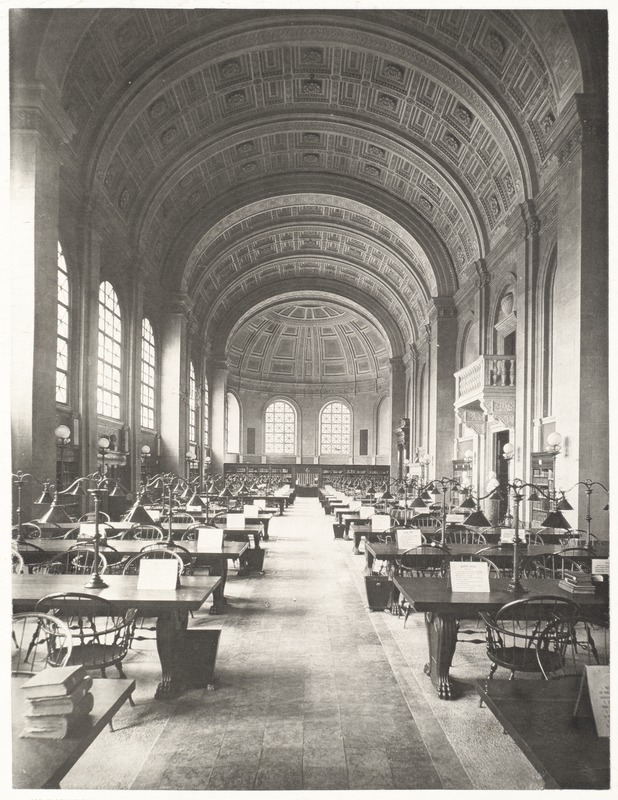 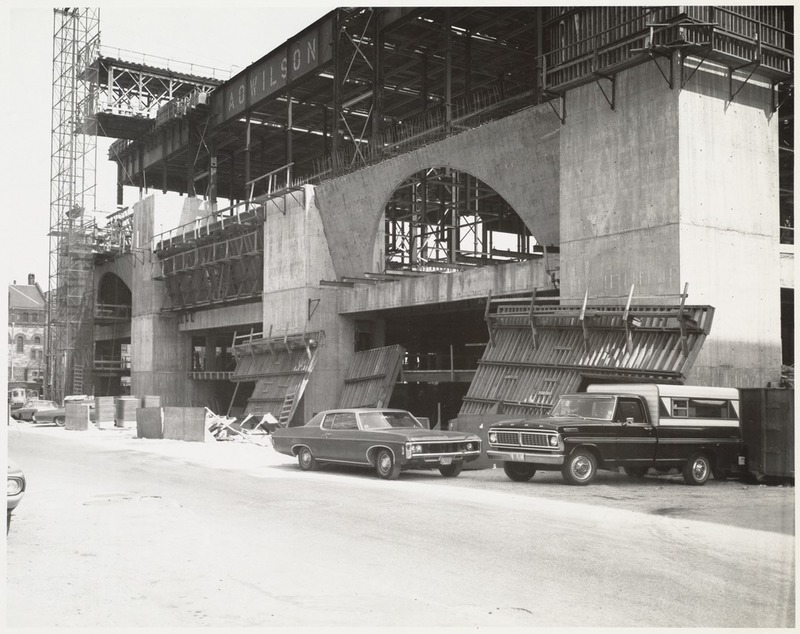 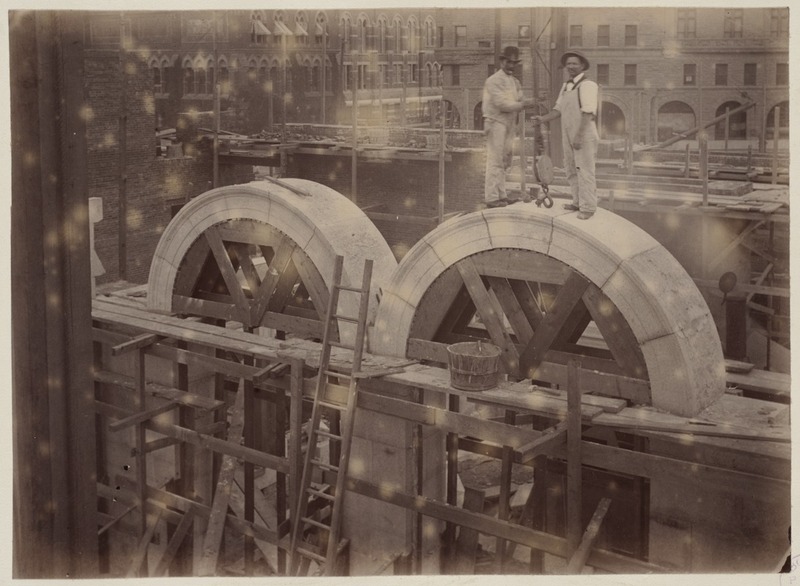 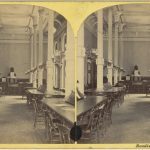 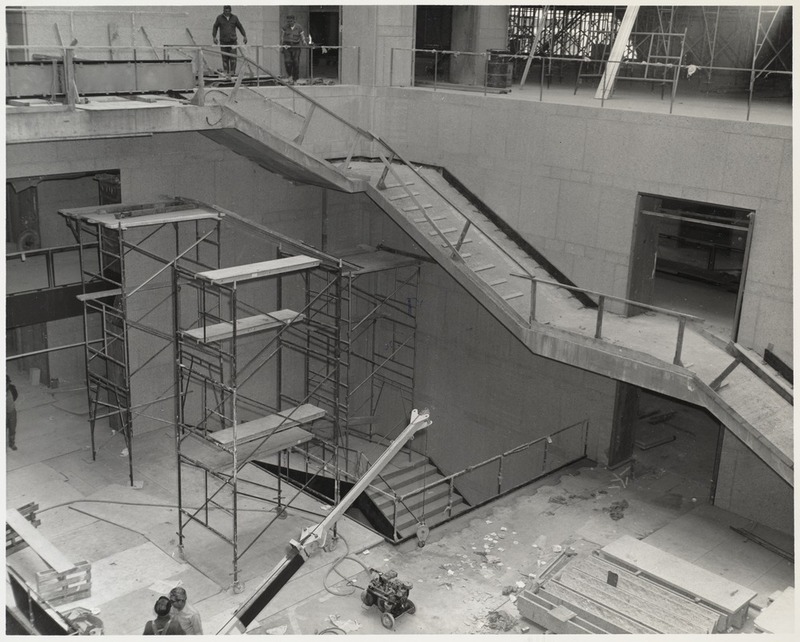 To see more photos of the BPL through the years, view these digitized items. 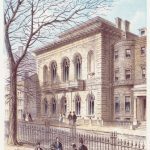 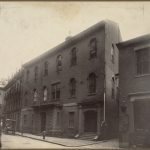 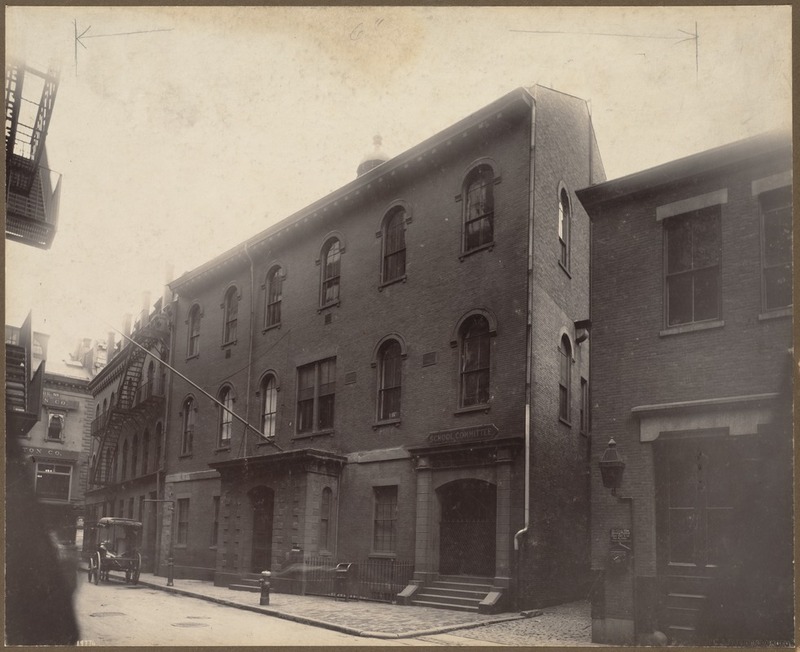 Boston Public Library's first building of its own was a former schoolhouse located on Mason Street that opened to the public on March 20, 1854. 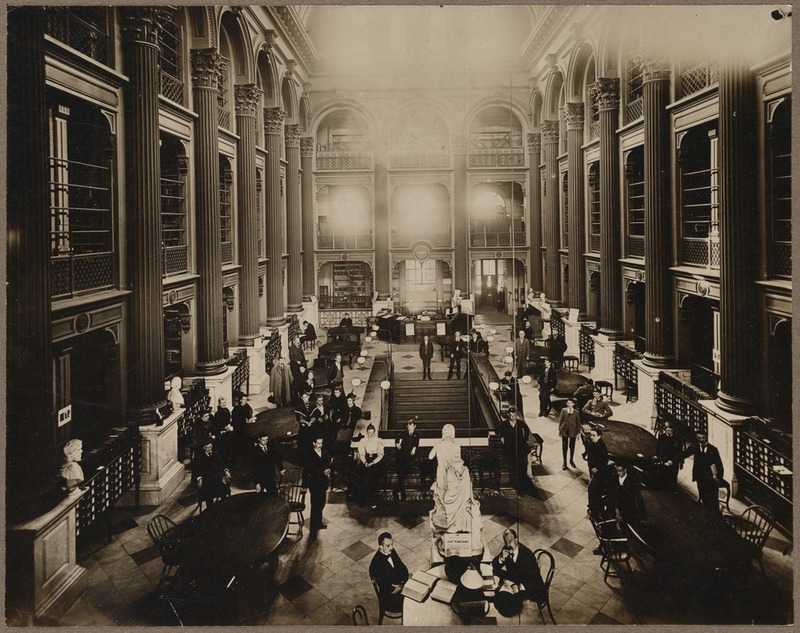 However, it was obvious from opening day that the quarters were inadequate for the library's collection of sixteen thousand volumes. 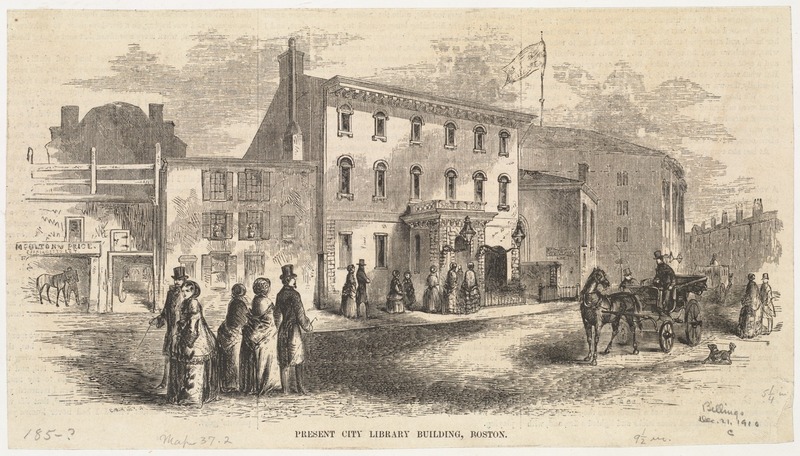 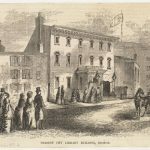 In December 1854, library commissioners were authorized to locate a new building on a lot on Boylston Street, which opened in 1858 at 55 Boylston Street with seventy thousand volumes. 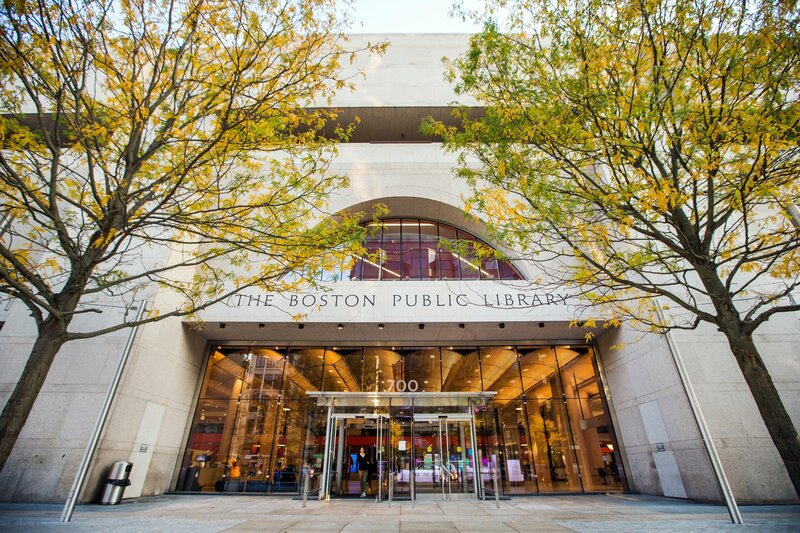 Twenty years later, as the library outgrew 55 Boylston, the Trustees asked the state legislature for a plot in the newly filled Back Bay. 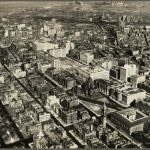 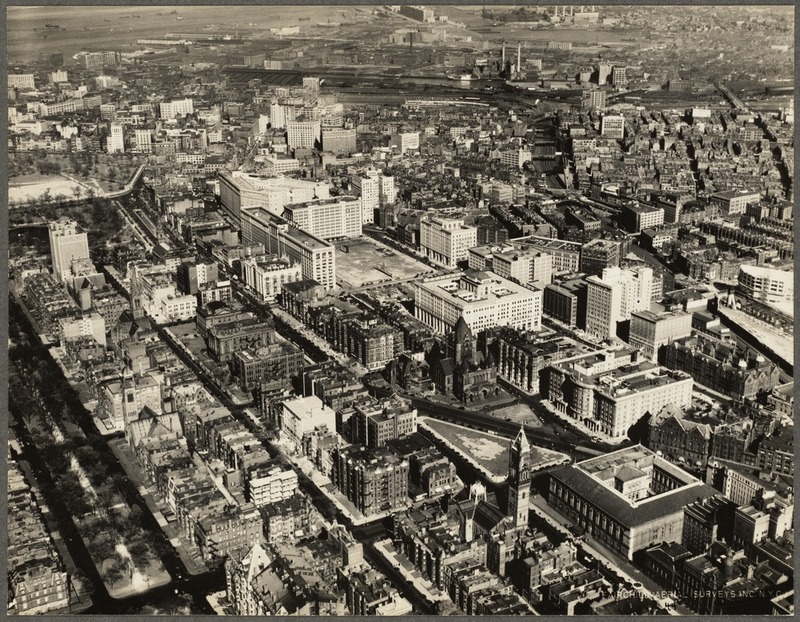 On April 22, 1880, the state granted the City of Boston a lot at the corner of Dartmouth and Boylston Streets. 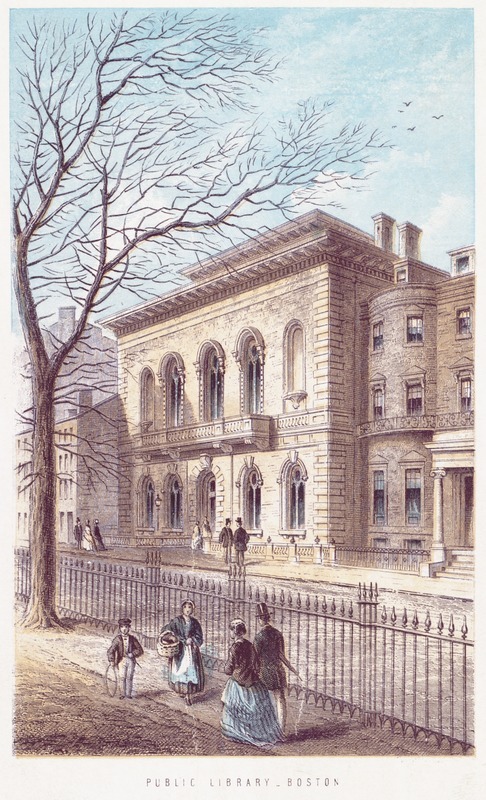 Charles Follen McKim of McKim, Meade, and White was appointed the principal architect in 1887 for the new building. 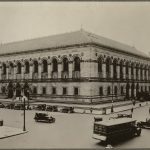 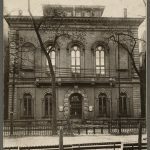 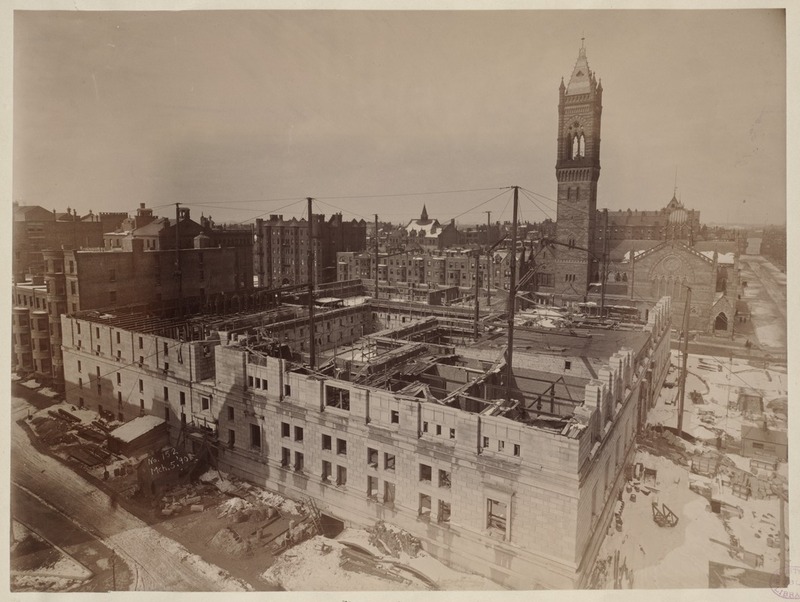 The present Central Library in Copley Square has been home to the library and has served as its headquarters since 1895, when Charles Follen McKim completed his "palace for the people." 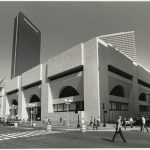 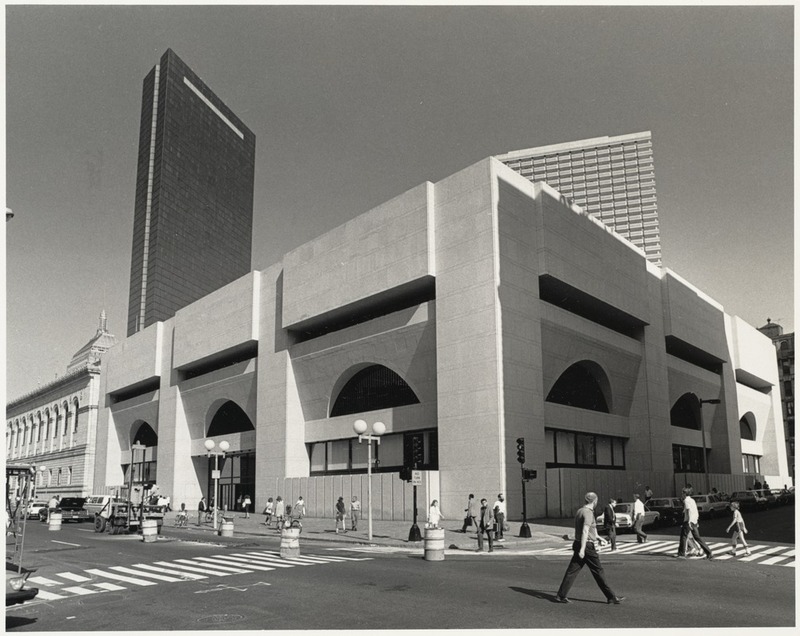 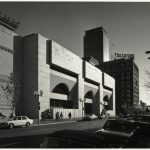 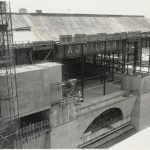 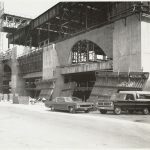 In 1972, the library expanded its Copley Square location with the opening of an addition designed by architect Philip Johnson, with collaboration from the Architects Design Group of Boston, who observed two requests: to maintain the existing roof line of the McKim building and to use material (Milford granite) that would harmonize with the exterior of the existing building. 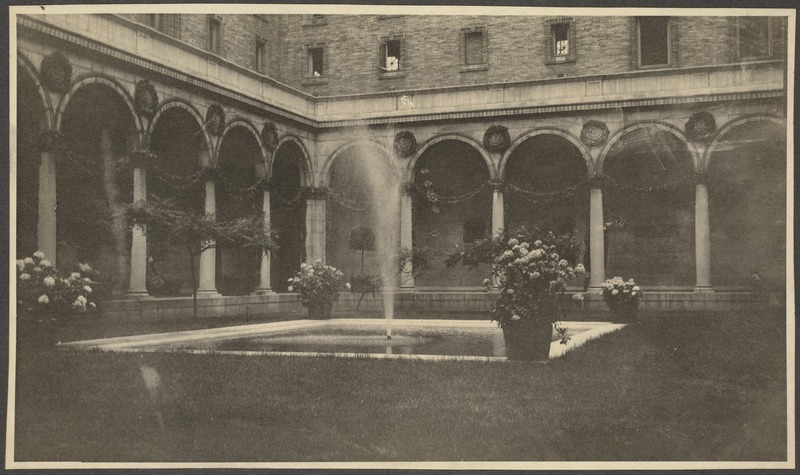 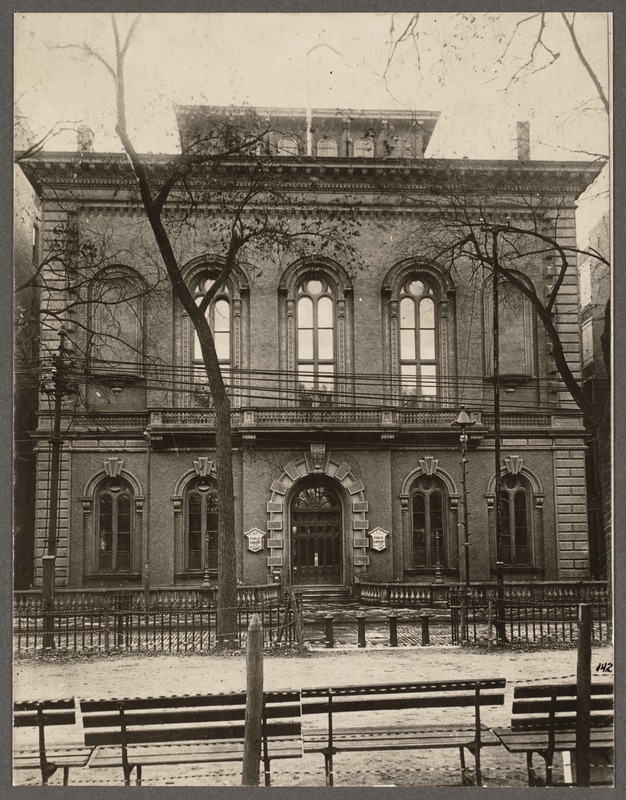 It was erected adjacent to the McKim building in order to allow patrons to move freely through the buildings. 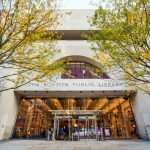 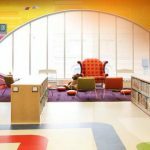 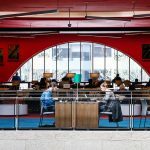 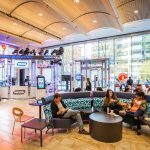 The award-winning Central Library Renovation of the Johnson building, approved by Mayor Martin J. Walsh as a capital city project, was completed in July 2016 and designed by William Rawn Associates, Architects, Inc. 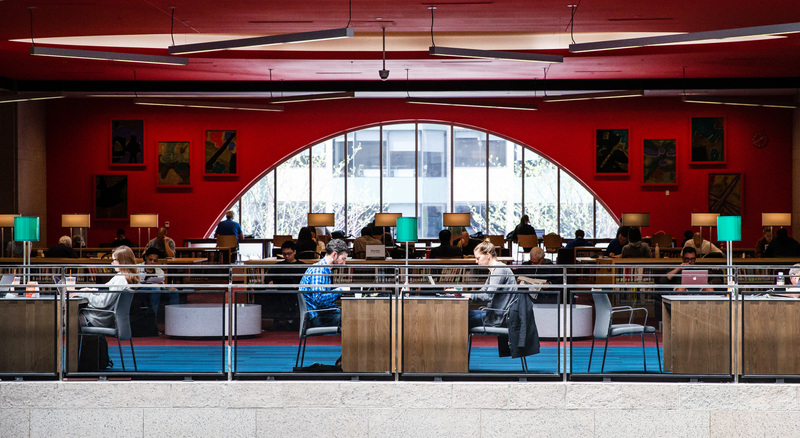 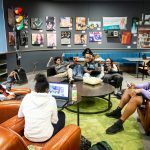 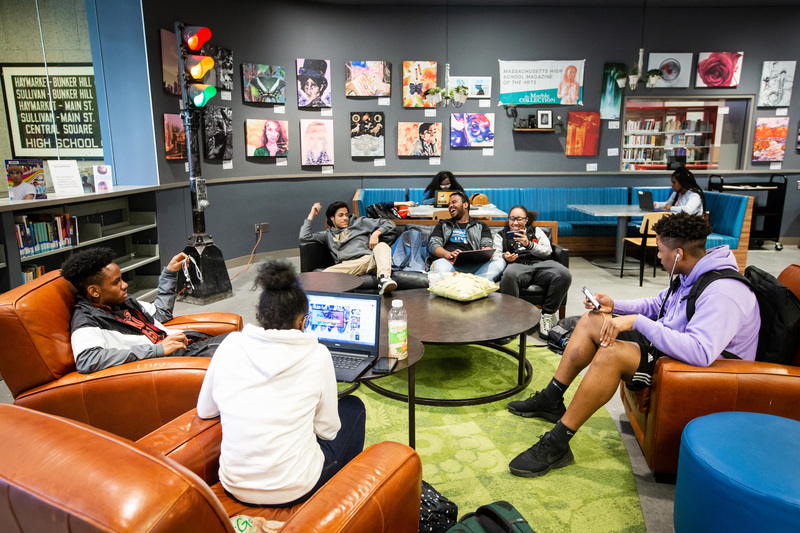 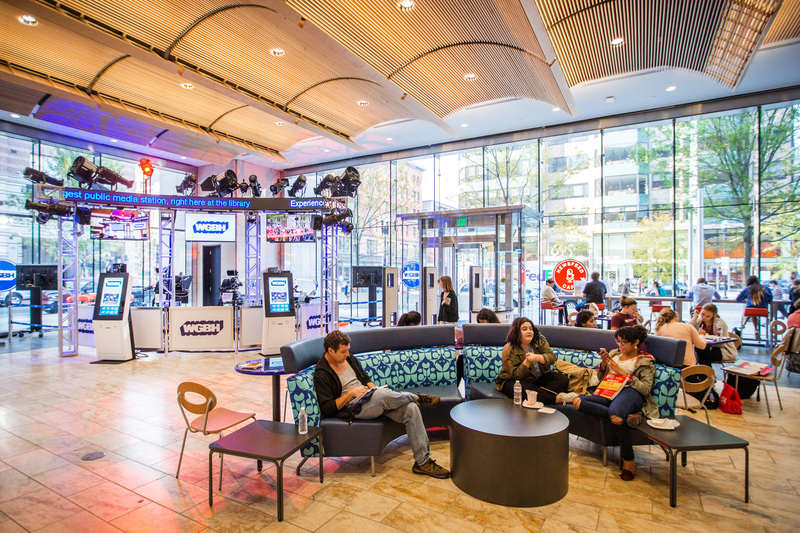 Goals of the renovation included providing a welcoming and twenty-first century urban library experience to patrons and visitors from around the world, revitalizing programming and spaces, strengthening the two buildings’ connection, and reconnecting the building to the street and city. 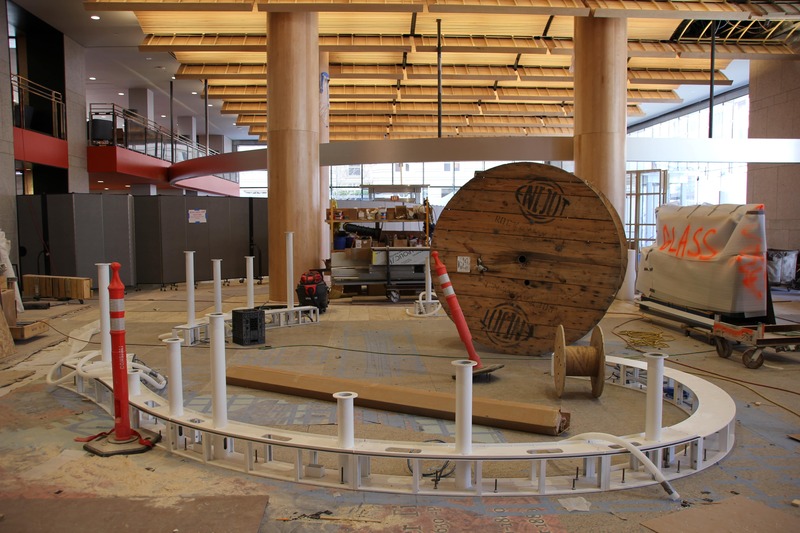 Johnson Building Renovation Welcome Desk ConstructionAll rights reserved.